Since I finished my '10 Shawls in 2010' project in August, I thought I'd give myself another challenge - complete three shawls during the 30 days of September. 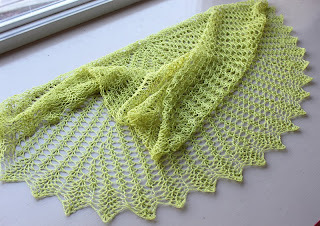 First up was the Green Lace Shawl, 800 yards, finished on the 12th. 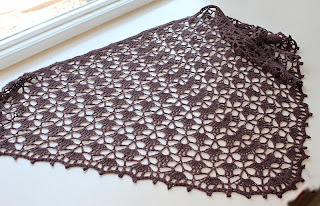 Then there was the Angel Wings shawl, 735 yards, completed on Sept. 21. 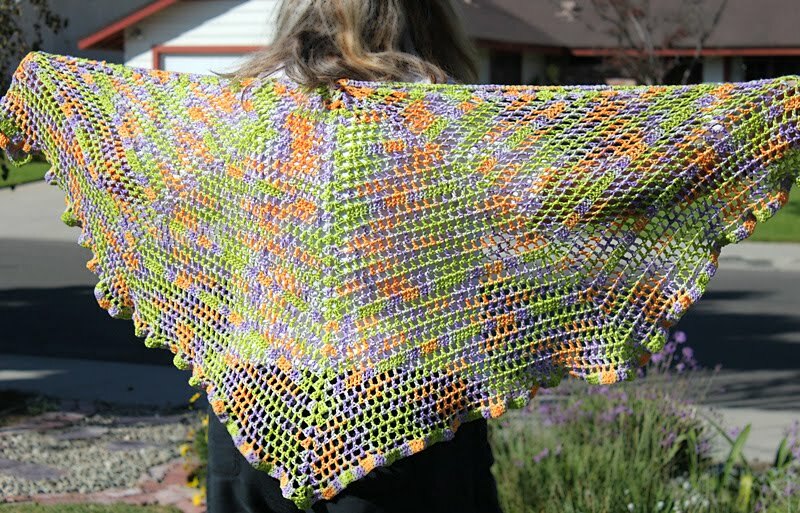 Both of those were gifted but #3 is all mine. This is the South Bay Shawlette, 460 yards of luscious mink and cashmere (hurry over there while it's still on sale!) 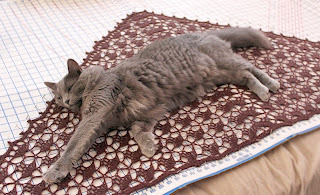 that I finished on the 28th but took off the blocking board this morning (with a little help from Lily. 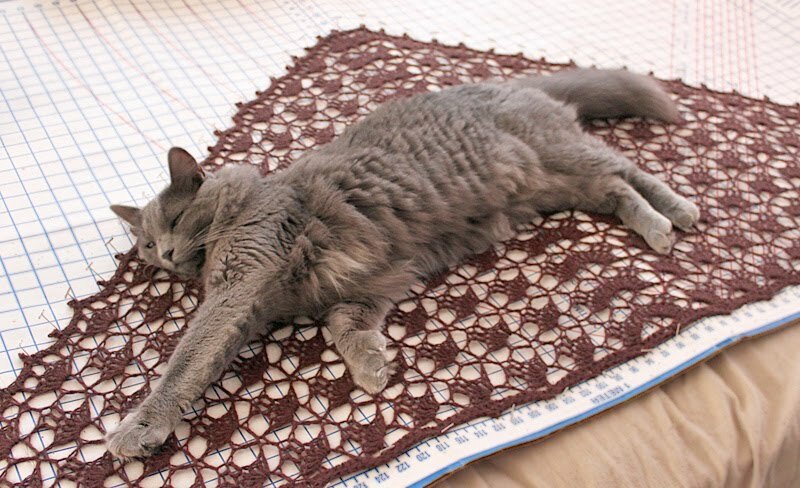 *#@&# cat). 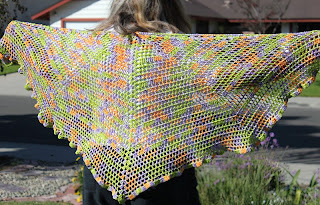 I love how the solid color yarn shows the pattern more clearly than the multi-color I used the first time around. 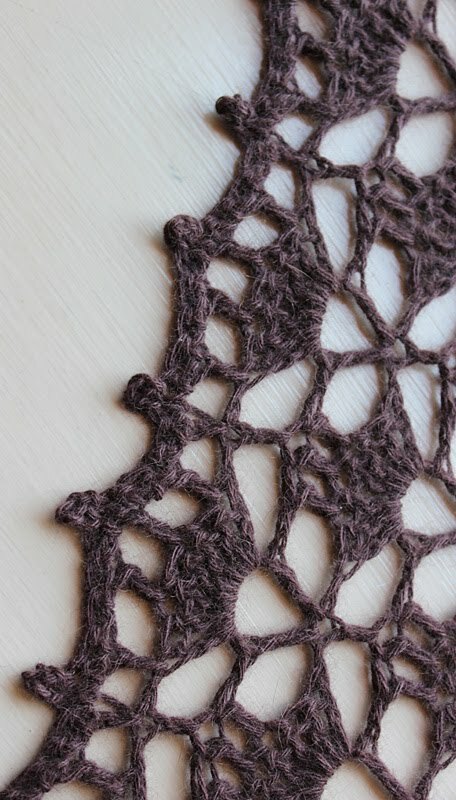 And it is a lovely pattern, especially with the picot border I added. 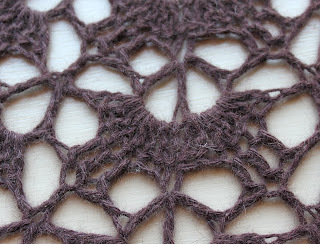 This is going to be a cold weather shawl - mink and cashmere is hot.